The Drift Diver Specialty course introduces you to the coolest magic carpet ride you’ll ever experience. This course shows you how to enjoy rivers and ocean currents by going with the flow. It feels like flying - except that you're underwater using scuba equipment. 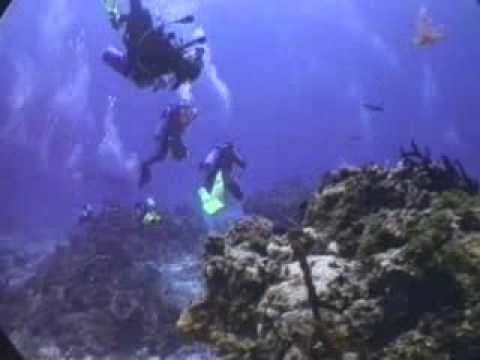 Drift diving can be relaxing and exhilarating at the same time. To enroll in the PADI Drift Diver Course, you must be at PADI Open Water Diver or Junior Open water diver (or qualifying certification from another organization) who is at least 12 years old. This specialty also counts towards your Master Scuba Diver Certification. You can start by reading the PADI Drift Diver Manual and watching the Drift Diving DVD in preparation for meeting with your instructor to schedule your drift dives. Stop by Aquatic Dreams Scuba Center to enroll in the course and get your Drift Diver Crewpak and start learning. Along with your basic scuba gear, you will use various surface maker buoys and floats with lines and reels. Your PADI Instructor may suggest other gear appropriate for your local diving.